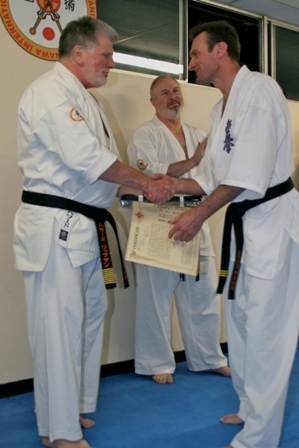 Shihan Rick Cunningham, Sensei Peter Olive and Sensei Idir Bahamid were graded by Shihan Howard Lipman at a demonstration session event on 7 May 2010. 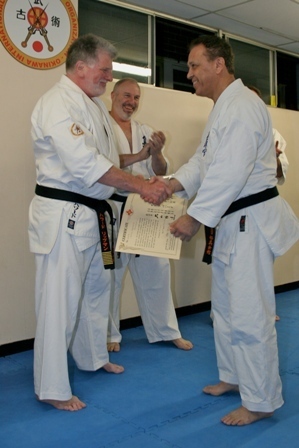 Shihan Cunningham received his 6th Dan, while Senseis Peter and Idir received their 4th Dans. 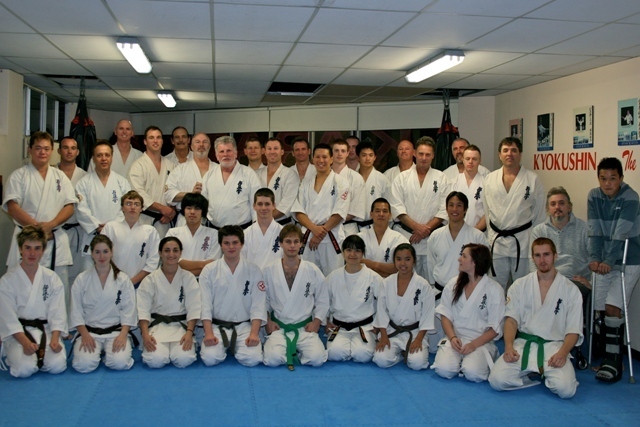 The evening was attended by several special guests. 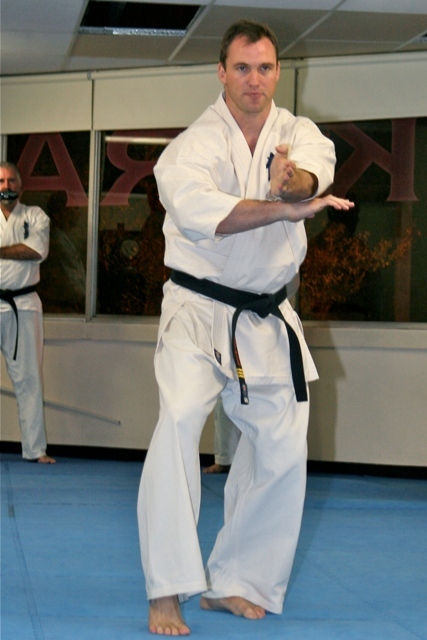 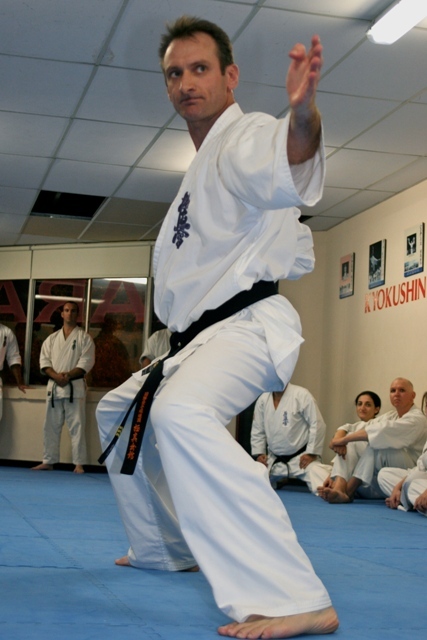 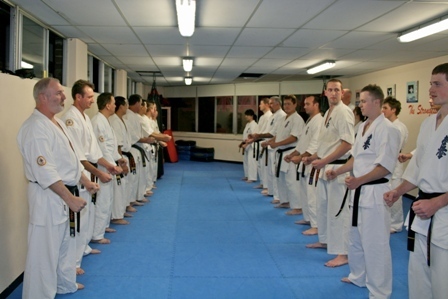 Read more about these instructors and their backgrounds in Karate here. 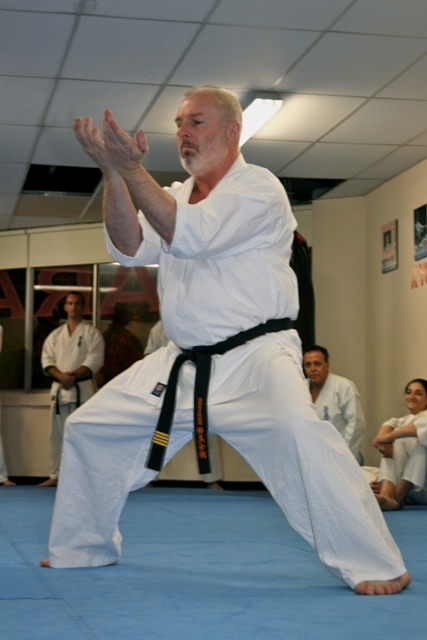 A number of demonstrations were provided by seniors on Kata and Ippon Kumite, videos of which are featured below. 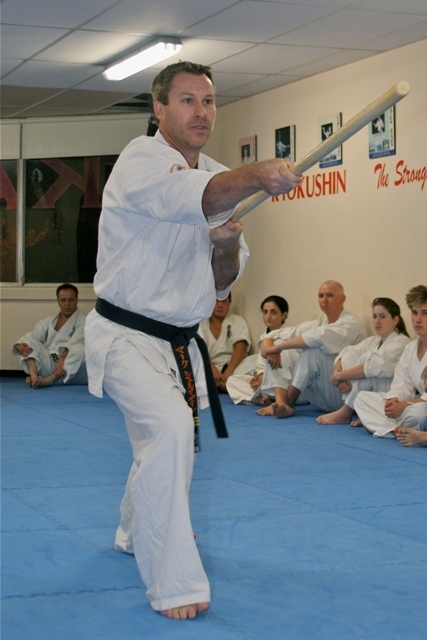 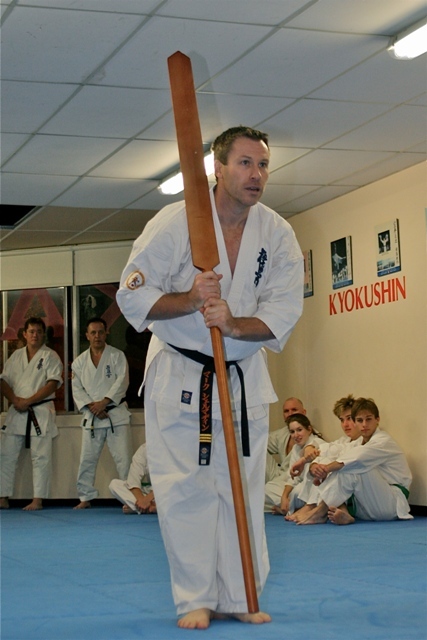 Bo, Sai and Eeku were also demonstrated – clips of these are available on the About Kobudo page. 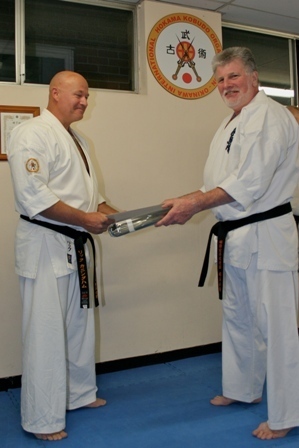 The evening concluded with a celebration dinner in Gordon. 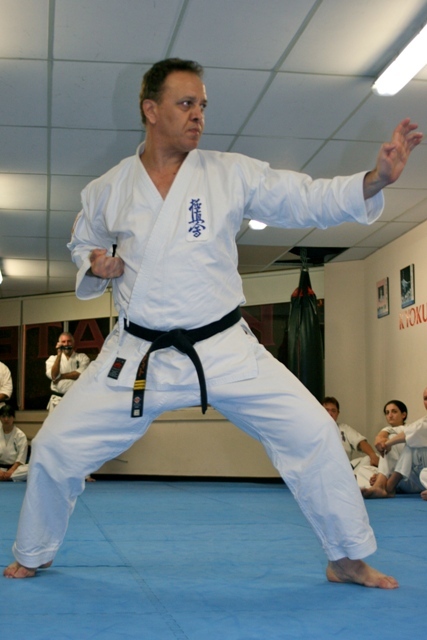 Sensei Idir demonstrates ippon kumite with Sempai Ben Ng.